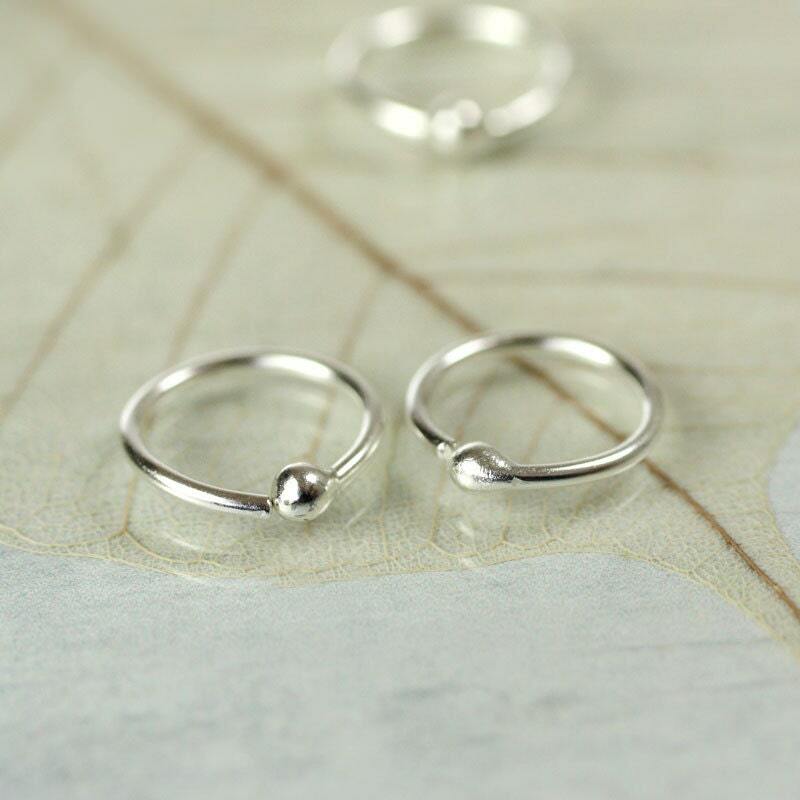 Small hoops in argentium silver with ball end. 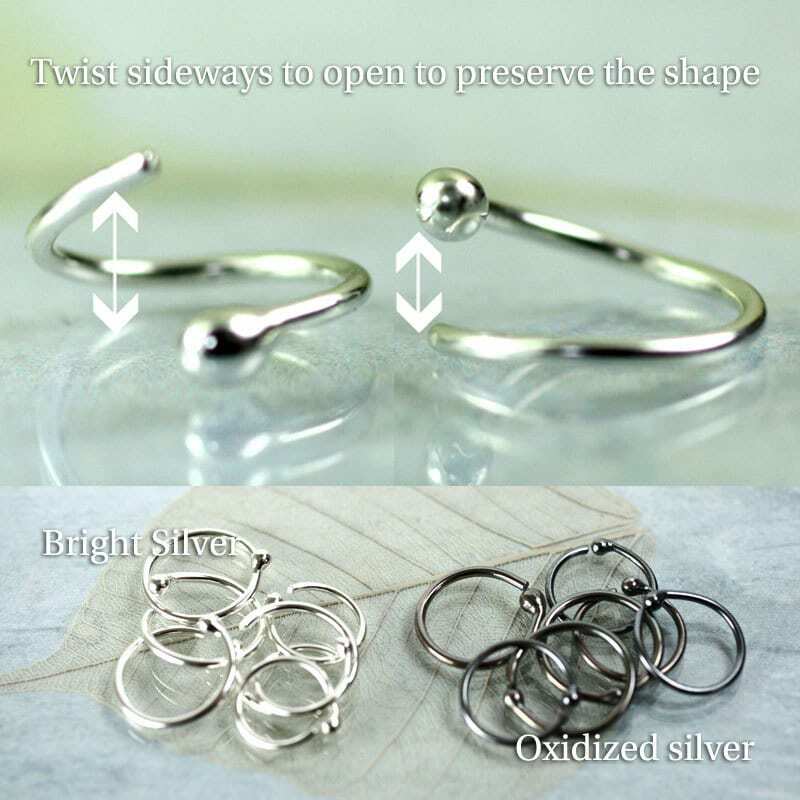 Also suitable for cartilage piercings and as a nose ring. This listing is for one pair. 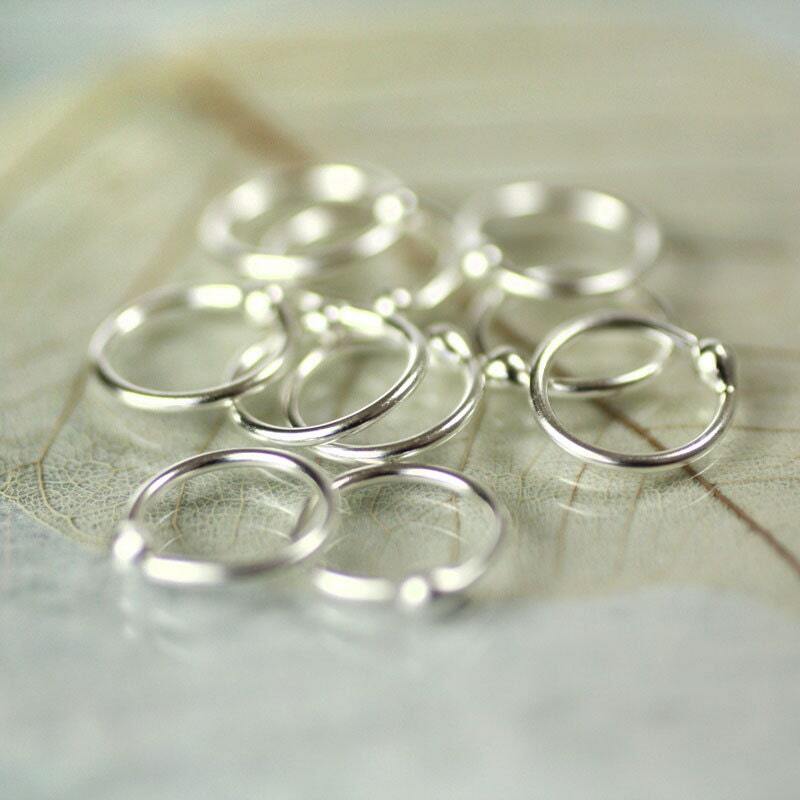 They are about 9 mm in diameter and with a wire gage of 20 - that's 0.8 mm in thickness. 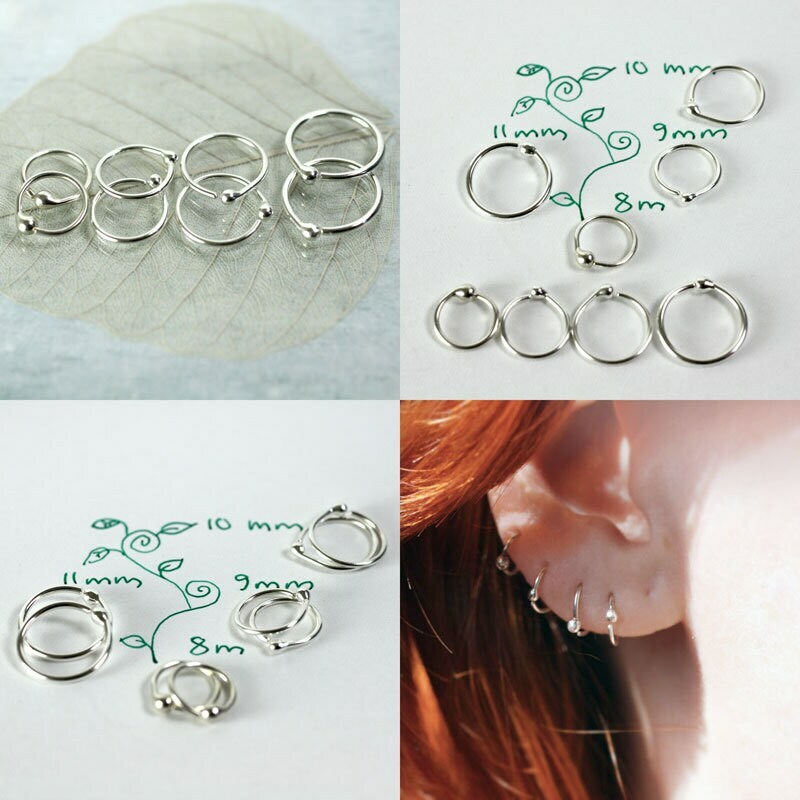 These earrings can stay in for months at a time. So comfortable you can forget about them. They can be a bit fiddly to put in, but that just means that once they are there, they are very secure. 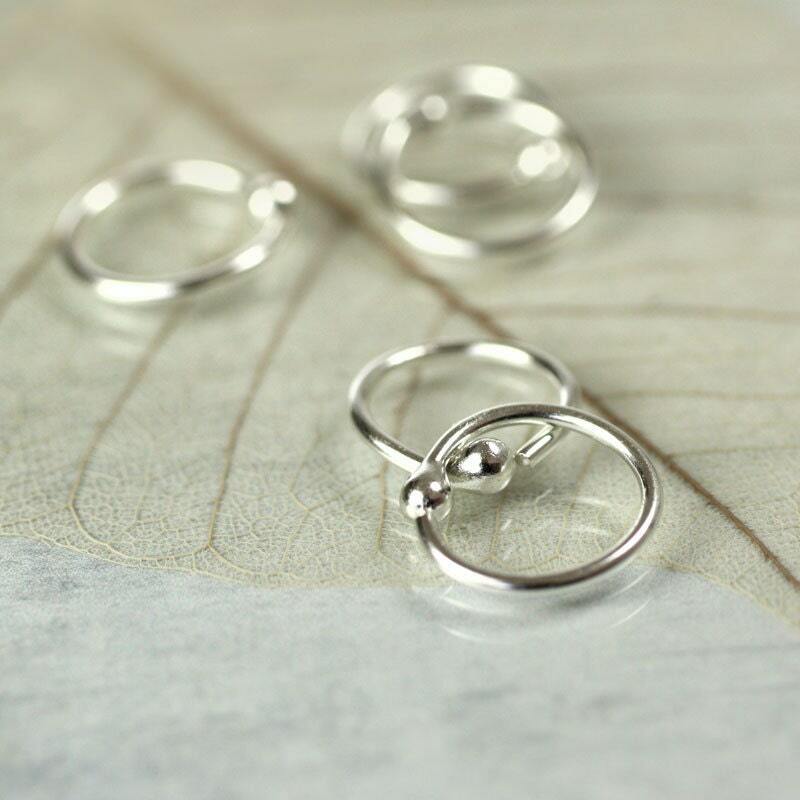 * This listing is for one pair - 2 earrings. 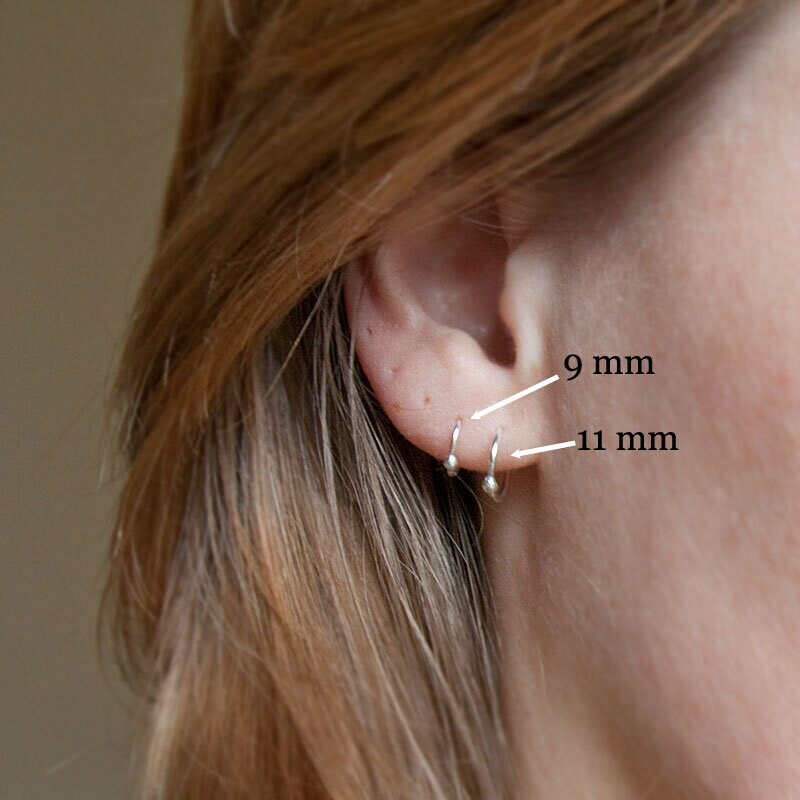 9 mm (outside diameter) can be too small for some piercings, so please test the length on your ear before you buy. Also available in oxidised black - see the last picture. The oxidation will wear off with use giving a lovely worn look. Quick delivery. Delicate and perfect. Thank you.